Jeb Bush explains why he's different than his brother and the rest of the clown car. "What's going to be different after your big speech, how are you going to be able to break away from the pack finally?" It's so simple, Jeb says he's finally going to get the opportunity to ask people for their vote. Never mind that he's already broken campaign finance law as he has already said he's running for president. He hasn't yet done that officially. "And as a candidate, contrary to someone who has been listening and learning along the way, I'll offer up alternatives to the path we're on as well, so I'll be more specific on policy." Bush plans to announce tomorrow in Miami, Florida. "I've had a life experience that's full of warts, full of successes, I think that's something that's been lacking in the presidency, someone who's been tempered by life." He's planning to slowly but surely gain popularity, that is 'the plan.' He is a Bush, but he's his own Bush. He loves his father deeply and said he called him yesterday on his 91st birthday. He will be thinking about George H.W. when he makes his announcement tomorrow. He doesn't want to get emotional, so he can't talk too much about his dad, because he loves him so dearly. His delivery and style during this interview was akin to watching paint dry. 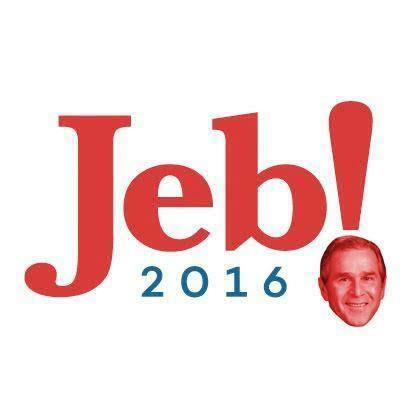 He claims that after tomorrow, we will get to see the real Jeb Bush and we will see what's in his heart. I imagine he's hoping we don't see him as Terry Schiavo's husband sees him: a small government guy who really does want to come between patients and their doctors. He most definitely wants to avoid any comparison to his brother's disastrous two terms as The Decider. It is certainly going to be a helluva lot tougher to garner the nomination than it was for his brother.